It’s possible a physician might do well with hearing aids that are Bluetooth compatible, for instance, and have directional microphones. 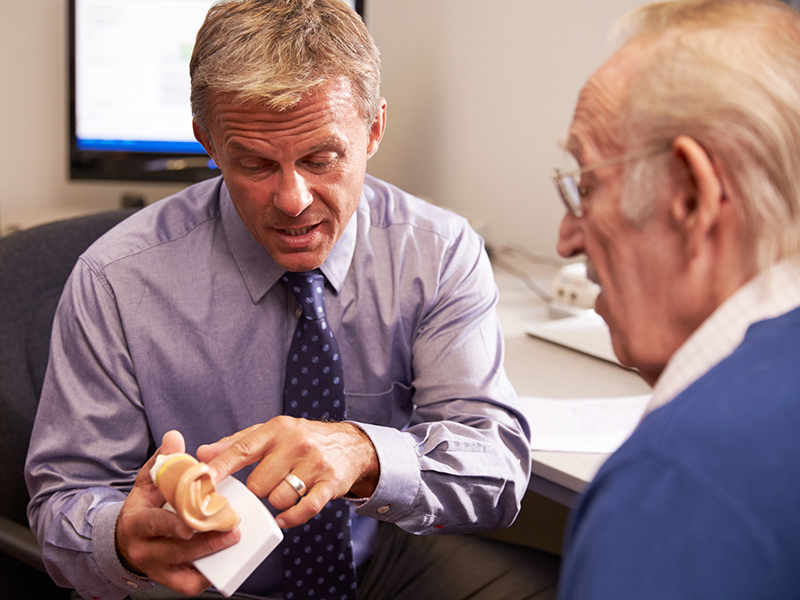 Bluetooth allows the physician to connect the hearing aids to a smartphone or computer and directional microphones enhance conversation in noisy environments. Noise reduction probably comes in handy, as well, to filter out background noise.